Do you love macaroni & cheese? I do. I've featured five versions of it: traditional, smoky, modernist, truffled and "MaCorny." It's a dish with a lot of potential for variety. Certainly Stephanie Stiavetti and Garrett McCord are aware of its potential. 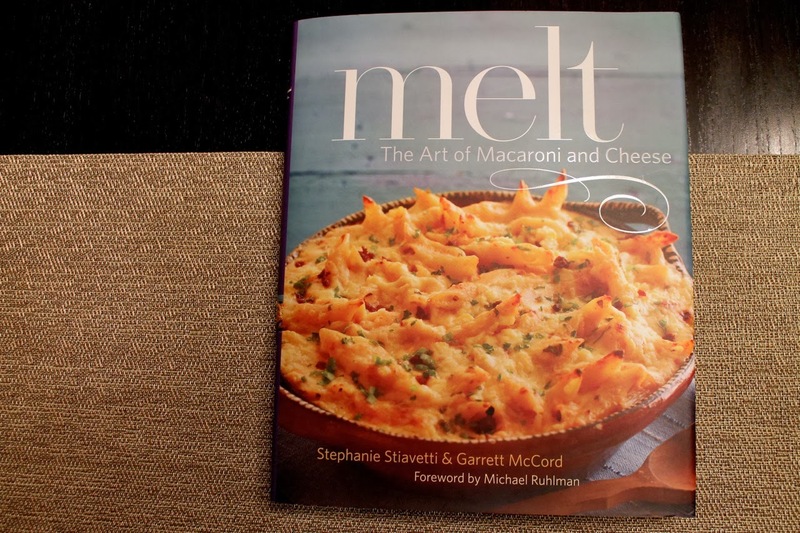 Their cookbook, Melt: The Art of Macaroni and Cheese, is dedicated to the subject, featuring a range of macaroni & cheese recipes including pasta salads, stovetop and hearty varieties, even dessert versions of mac & cheese. I was fortunate to get a copy for Christmas last year, and it was high time I made something from it. 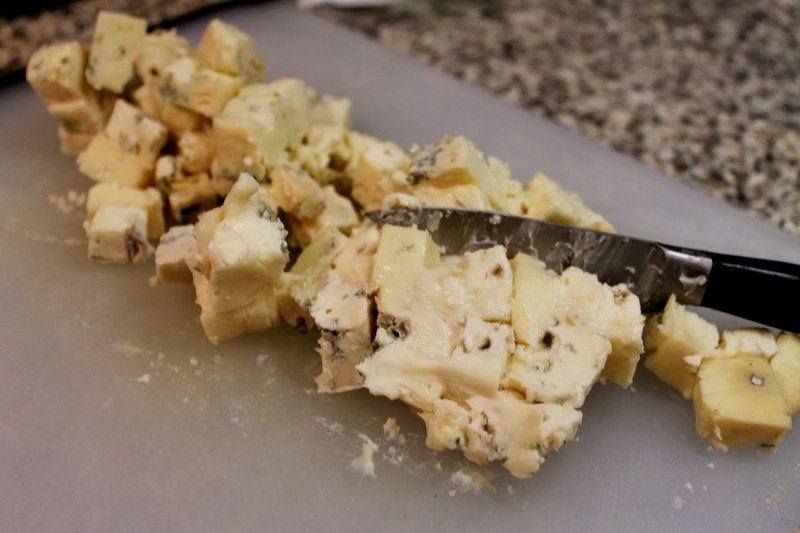 Blue cheese isn't for everyone, but I love it. Even from a young age, blue cheese was my favorite salad dressing. I love its pungent, tangy creaminess. So I was attracted to the Melt recipe Roaring Forties with Honey-Roasted Delicata Squash, Sage Butter and Rotini. Given their interest in cheese, the cookbook provides brand-specific recommendations for cheeses to use in the recipe. This could be frustrating if you chose to follow the recipe exactly. However, they also give suggestions for alternative cheeses, and I have no qualms about making further substitutions. Roaring Forties is a prized Australian blue cheese, known for its nutty flavor and smooth texture. Whole Foods didn't have it the day I was shopping, so I instead opted for Extra Creamy Gorgonzola Cremaficato Igor, which I chose because it promised to be creamy and is supposed to be good for sauces. In addition to swapping cheeses, I also substituted relatively more rare delicata squash for the more common butternut variety. I also stirred the blue cheese into the pasta as soon as it finished cooking so its warmth would melt the cheese, a move I figure is appropriate, given the title of the book, although not specifically suggested by the recipe. 1. Preheat oven to 400 F. In a medium saucepan, melt butter over medium-low heat. Add sage, salt and honey and cook, stirring frequently, for about 3 minutes. Remove from heat, add the squash and stir to coat squash with the butter mixture. Transfer squash and butter mixture to a 9 x 9 baking dish. Bake until the squash is soft and starting to brown around the edges, about 50 minutes, stirring halfway through. 2. Boil the pasta in a large pot of salted water until al dente. Drain. 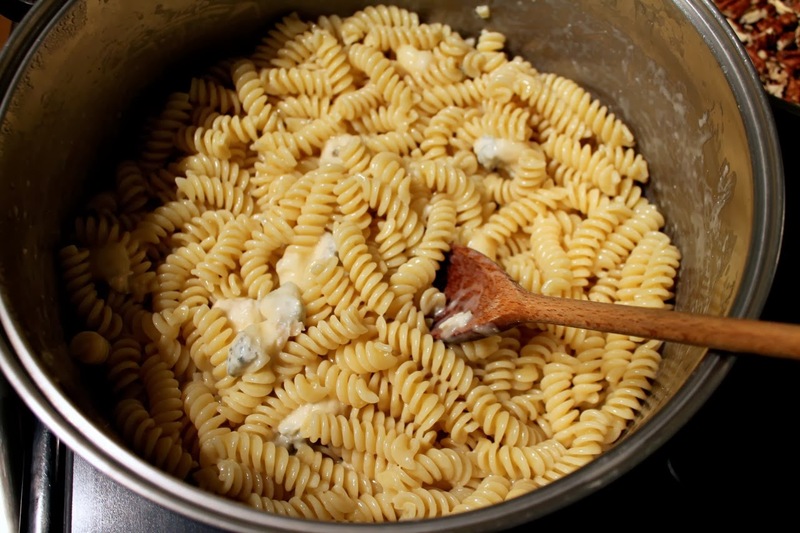 Immediately add the blue cheese and stir to combine and melt as it's mixed with the hot pasta. 3. 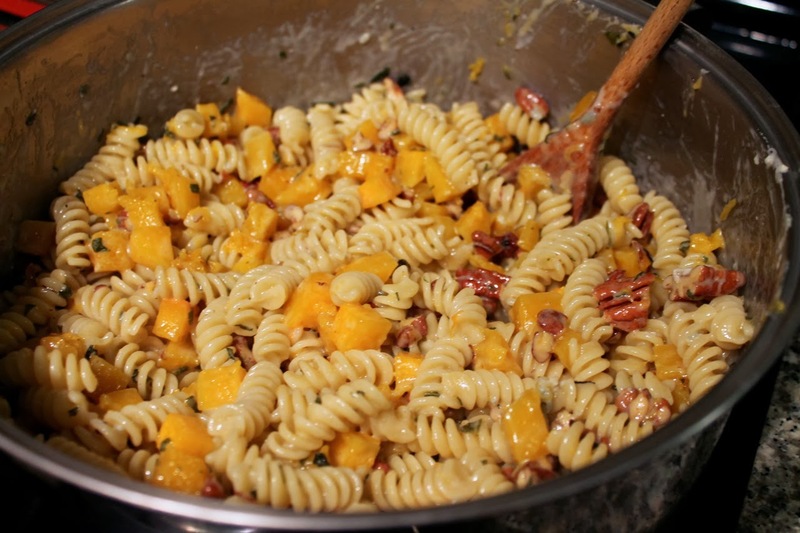 While the pasta cooks, toast pecans over medium-low heat in a medium frying pan until fragrant, about 5 minutes. Add to pasta. 4. 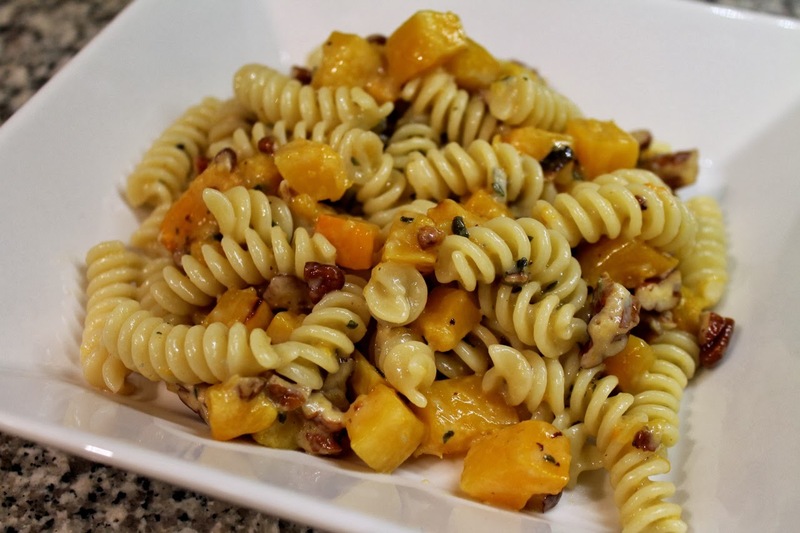 Combine the roasted squash with the pasta and stir to combine. Serve in shallow bowls. I really liked this a lot. Thank goodness someone had the good sense to give you a cookbook devoted to macaroni and cheese recipes.